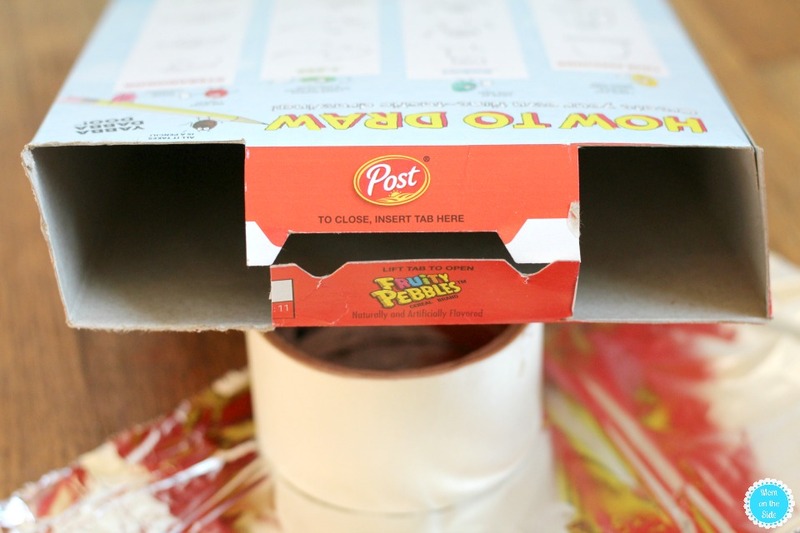 This post on how to make a cereal box eclipse pinhole projector is sponsored post with Post Cereal. Any opinions are 100% my own. While talking with our kids about the upcoming solar eclipse on Monday, August 21st, my husband and I remembered something. Back in the 90’s there was an eclipse while we were both in middle school. 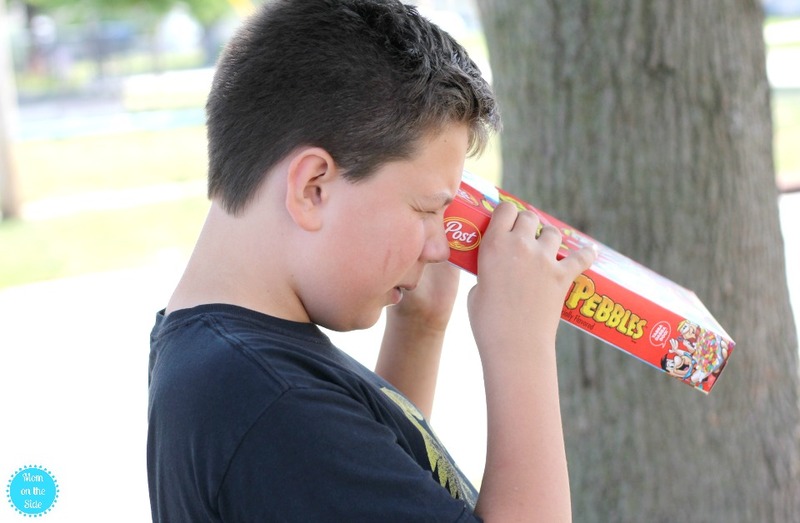 Our science teachers had us make DIY eclipse cereal box viewers to experience the eclipse. It was really neat and I thought, why not make some for the kids! 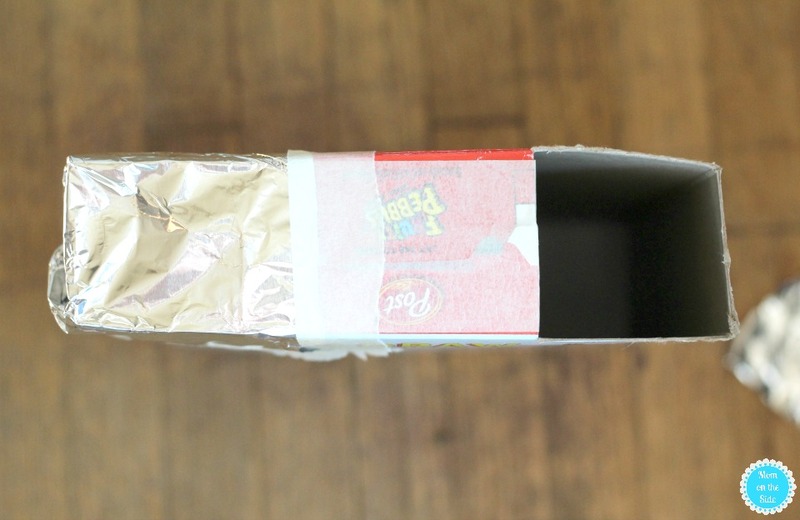 I grabbed some foil and Fruity Pebbles at the grocery store so we could create last-minute DIY Cereal Box Eclipse Pinhole Projectors. If you want to watch this year’s eclipse using a box of cereal and some other common household items, I’m showing you how. The best bar, it’s even NASA approved! PS: This is a DIY for parents to do with their kids, not for kids to do alone. PSS: DO NOT look directly at the sun. 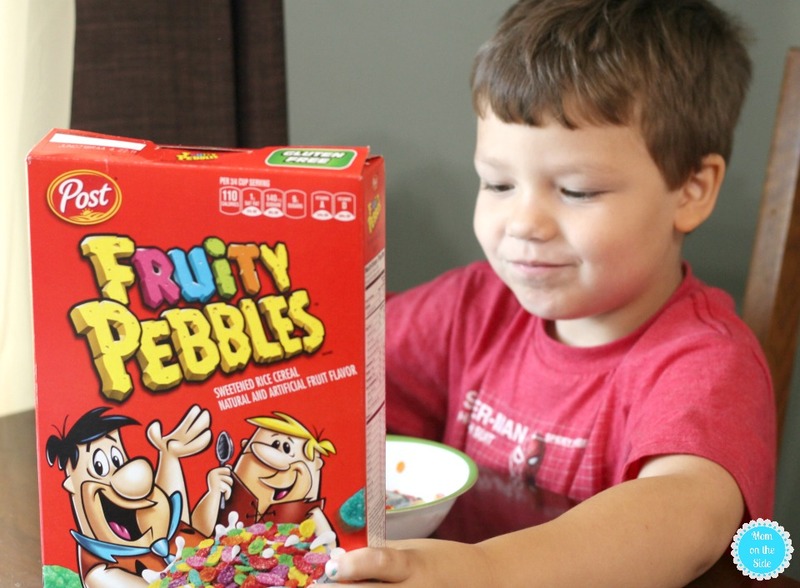 Step 1: Serve the family Fruity Pebbles for breakfast to empty out that cereal box. 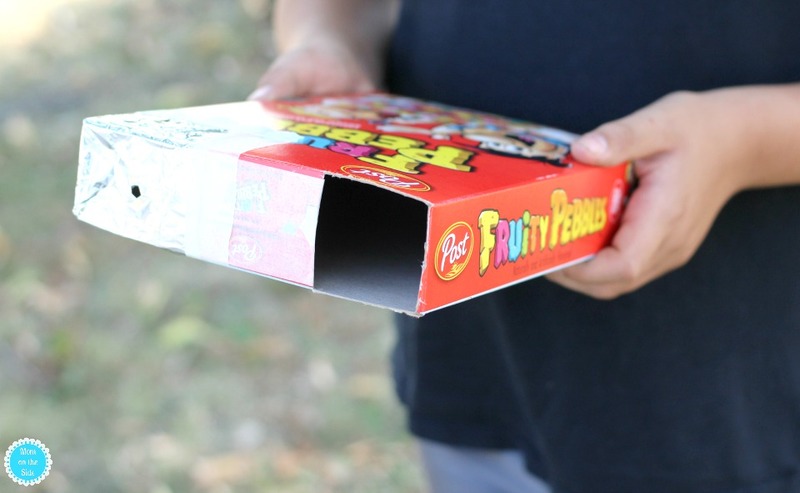 While the kids are munching on cereal, mom and dad can complete the rest of the steps to create this DIY pinhole projector. Step 2: Cut out a rectangle shape of white paper or cardboard that will fit snuggly inside the bottom of the box and tape into place. Step 3: Cut a square shape on the left and right sides of the top of the box and tape up the center. 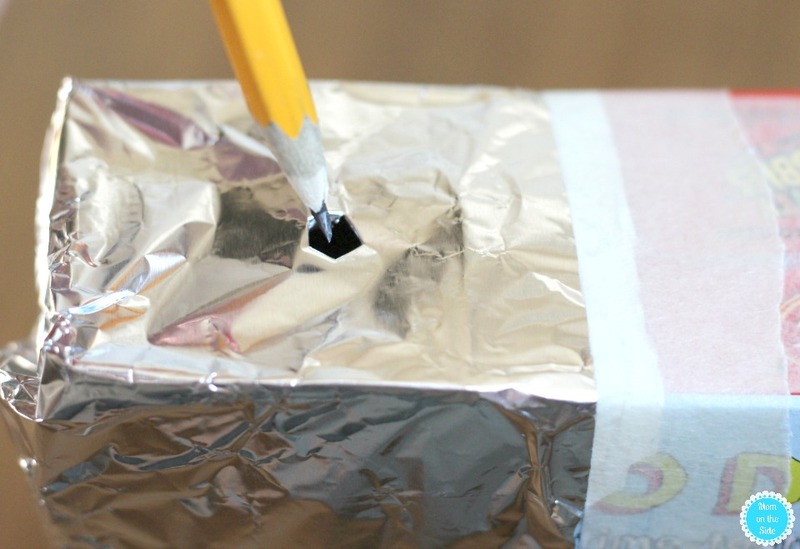 Cover one of the square holes with aluminum foil and tape into place. Step 4: Using a small nail or pencil, poke a small hole in the foil. Step 5: When the eclipse comes, look through the open square, with your back facing the sun. A small image of the sun will be projected through the foil and onto the white paper inside the box. Remember, never look directly at the sun! Not only is this fun and easy to make, but it’s a great experience for the kids! 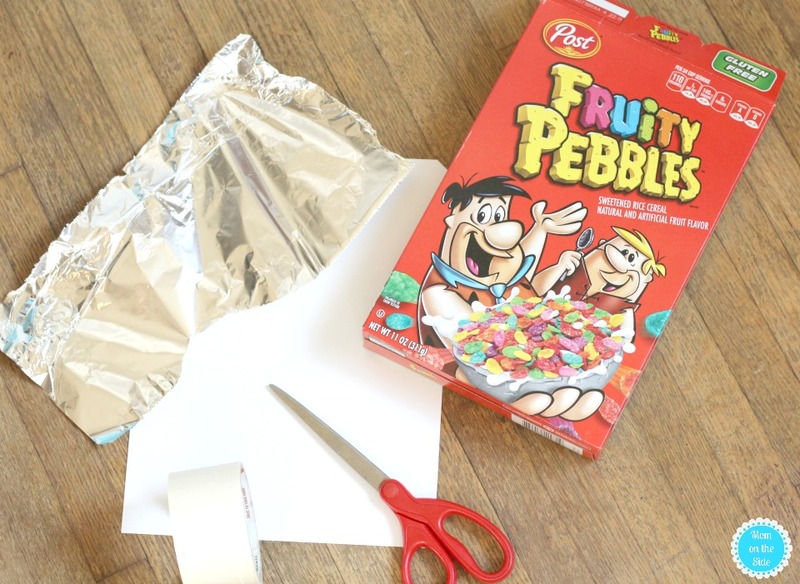 Pick up some Fruity Pebbles and foil so you can make one, or several, this weekend to enjoy the solar eclipse on Monday! 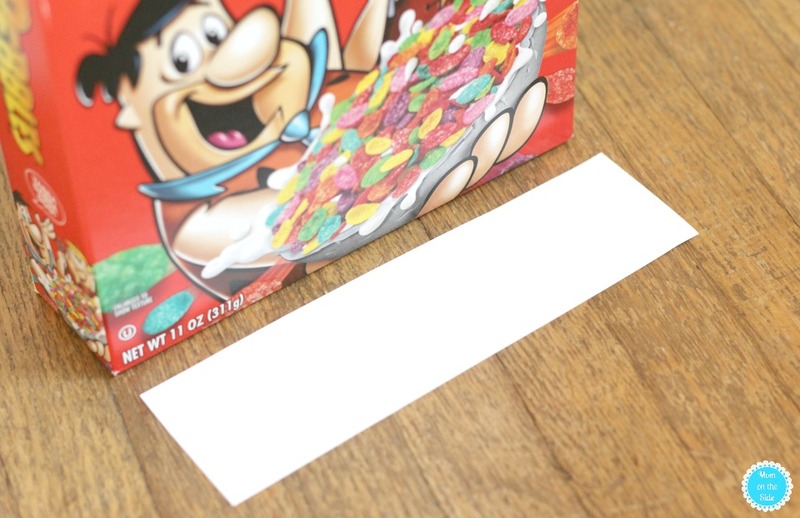 Do you put the white paper on top of the cardboard cereal box bottom or do you replace it with the white paper? On top of the bottom – put two little pieces of tape on each end and push it down and stick it to the bottom. Hope that helps! Thank you! I’ve never done this in my days in school but my husband has and he Judy called me and told me about out about 20 minutes ago. I homeschool our youngest so this was a lot of fun for us! Thanks!